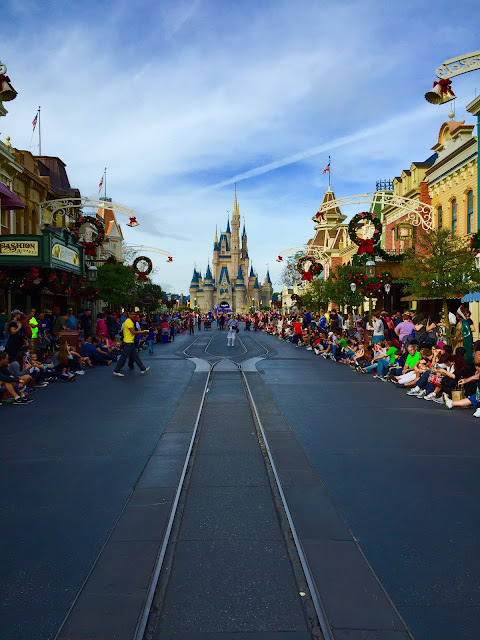 It isn't easy to get a clear shot of Main Street, USA during the busiest time of year. However, it is possible right before the parade starts as most of the street is closed to guests. I took this shot on Thursday, only minutes before the parade came down the street from the hub. You can see the large crowds on the sidewalks getting ready to enjoy Festival of Fantasy.